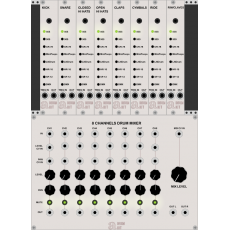 My VCVDrum Kits Pack works on Mac/PC/Linux using Rack 0.6.x (current release at the moment), not with 0.5.0 or earlier versions. 3) Run Rack, you should be able to see the modules with right-click. If something doesn't work just delete the "Autodafe-Drums" folder in Rack/plugins and launch Rack again. 4) If they work on your system and you like the results, please consider a donation or buy the Blank Panel... I spent countless hours developing these modules, more will come shortly.